We have to face it, most games these days are heavily orientated towards what men and boys enjoy, shooting, driving, flying and building army’s and although some girls might enjoy these types of games too, there is a lack of games that are geared towards the interests of females.There are some out there however, with one being Popular Lady, a game that concentrates on what women love. This game allows you to go shopping, get your hair done and look for the perfect boyfriend. Lady Popular is a free to play browser game that is set in a virtual world where you can do literally anything you want. The first thing that will please fans of this game is the fact that there are more than 16 million different combinations available with regards to customisation. This comes in the form of everything from the shape of your face and body, hair colour and style and then the amount of different clothes, shoes, jewelry and accessories on offer. This means that you can dress your character in any style you wish. 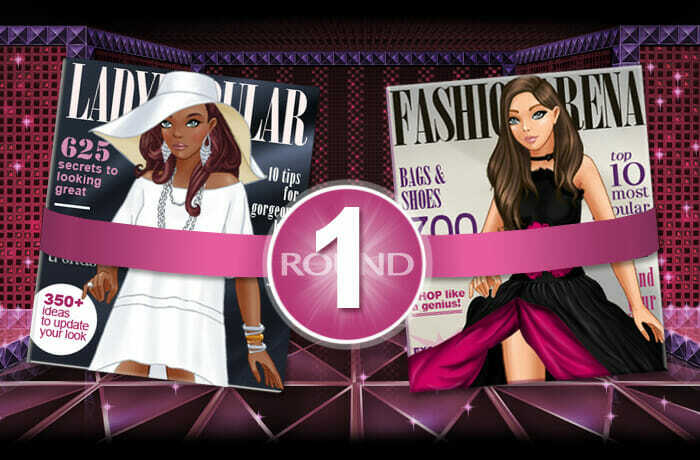 So if you want a rocker chick, tomboy, fashion icon or simply a girly girl, all is possible within this game. Just think of a very feminine version of ‘The Sims’, where you live a virtual life and can do practically anything that you like. You can go to the nightclub, hang with some friends, get a job, get a boyfriend and even own a pet if you so wish. There are quests that you need to complete to progress in the game however. These will unlock new items and features as you go along. The only problem is that once you have completed a quest it can take some grinding before the next one becomes available. There are a few mini game within the game that you play to keep you occupied if you do feel yourself getting bored and you can also chat to friends on the game. Both the graphics and sound for the game are sufficient if not spectacular. The graphics are fairly well done but have obviously been aimed at low spec PC’s, the kind that younger children will probably have access to. The sound and music will not have you singing and dancing along but they are good enough for a game of this caliber. All in all, this game is a good one for your kids to play, especially as in the main it is free to play. There are premium offers on offer if you feel like treating your children but these are not necessary to be able to progress far in the game. It offers enough to keep your children happy for a period of time but the lack of quests may end up seeing the game become a bit boring in the long run. Despite this, the mass amounts of customisation options is the key selling point for the game, so if your daughter loves nothing more than dressing up, this game could be the perfect option for her.